In Indian law, two factors restricting grant of specific performance or injunction are greatly influenced by contract terms. In order to succeed the plaintiff must show that compensation is not adequate (the inadequacy test), and the decree is capable of effective enforcement (the test of effective enforcement). The inadequacy test does not feature in civil law systems and international conventions, and makes specific performance an exceptional remedy. It also renders the grant of relief uncertain, and discourages promisees from seeking specific relief. This book explores whether specific performance should be available as a general, rather than exceptional remedy, by removing or relaxing the restriction of inadequacy test. It also discusses the constraints that affect effective enforcement of a decree of specific performance. It examines the extent to which these limitations are necessary, and whether their limiting effect can be lessened. 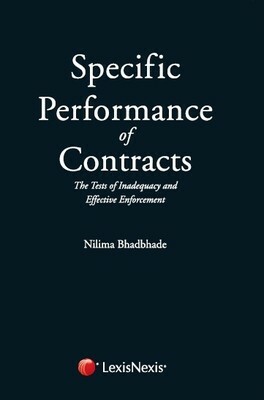 The book thoroughly investigates and critically analyses various Indian judgments involving the question of inadequacy or irreparable loss in contract related proceedings. This work also draws from the experiences of practicing advocates, academic writings, observations and decisions of Indian courts.